After a while, we are back again with magical Joomla page builder that is ever created. This is not just about any page builder; it's about the very best of Quix. To make it, better than the best we reinvented the page building system to turn your imagination into reality. We have been working restlessly for bringing out the pro version of Quix. It feels great to finally release the Pro version of powerful Joomla page builder that has been ever created. Now think beyond limitations and design your dream with the Quix Pro Joomla page builder. Let's dive and explore what comes with Quix 2.1 Pro Version. Today we are releasing the Pro version of Quix Page Builder. More interesting features are coming soon. What's new in Quix Pro? Images play a very vital role in the development, and we lose a very big part of our time while we search for images. Doing this also hampers our focus on work and thus we end our work by taking more time. For saving more time and let you maintain your focus we have integrated unsplash with Quix. You can directly search and download images from unsplash without even leaving your development area. From media manager go to unsplash tab, then search and insert your preferred image without any kind of hassle. We have given every necessary element in Quix with elegant customization options. But if you think you need a little bit more customization, we have kept a place for custom CSS in every element. You will be able to bring any kind of modification on your own terms with custom CSS. One element's custom CSS will no have any effect on other elements so that you can code freely. Style, customize and give a unique look that you hold deep inside you with Custom CSS of Quix page builder. Quix means speed, and it ensures speed on your development with many advanced features. Quix 2 provides you with copy paste option, and you don't need to make similar section twice. Create once and clone it instantly by using copy paste option. Copy Paste option really helps a lot, without it you had to use dragging option, and for the long page, it would be very much disturbing. To sort out this problem, we have came with copy paste option. You can copy-paste sections, rows, columns, and even elements. All you have to do is click on the copy icon and paste it wherever you prefer. You can apply copy-paste unlimited times. "Building a form is only possible with form builder extensions" it's not true anymore. Quix 2.1 has brought "Form builder" element for you. Say goodbye to your old form builder extensions. This form builder element is so powerful that it lets you create any type of forms without any complexity. It comes with eleven field types with customizable properties. Select the field, give the title, choose the type, and modify the settings according to your need than your form is ready. Make form of any size, using form element. You can make a contact form using three fields, or you can make an application form of twenty fields, it's totally up to you. To help understand your users, you can add placeholder and help texts. After submitting the form, all the pieces of information will be sent to your mail. You can add countless emails by adding "comma" on Actions After Submit -> Add Action. If you wish you can take the information on specific fields with the help of shortcodes. Don't forget to give success or error messages, feel free to write it or use the default ones. There is a lot to be customized in the form element; it's not just a regular form builder it's more than that. Take your website from average to exceptional by creating interactive boxes with Call to Action element. This element cleverly seeks the attention of your visitors and stimulates them to interact and take action. Combine image, button, text and start designing stylish box layouts. Then bring life to those layouts with magnificent effects and interactions. Create truly spectacular sections by combining hover animations, advanced filters, and overlay blend modes. In call to action box, you can set an image as the background. It can be for your home page, about page or any other pages, make sure your website makes a long-lasting impression on each of your visitors. This extra effects would take a lot of custom coding, CSS and your valuable time, but now all these can be achieved instantly without any coding. To improve your visitor's interaction call to action plays a great role. It will create the WOW factor for your audience. Visual contents always wins, no matter its a landing page, a blog post or an entire website. Media carousel element takes your videos and images to the next level of design. Media carousel is highly customizable, and it just not allows you to combine images with videos, it also uses multiple other useful features that turns this element into a powerful visual tool. You can entirely change the height, width, and space between slides, depending on your need. The media carousel is fully device responsive, and you can customize the element according to devices. Organize your content but without taking a lot of space with tab element of Quix. It lets you show only the title and the content is hidden until toggled. Save your space and show several content in one place with Tab element. Set the contents for each tab individually, add images, texts, videos and anything you like to make your tab interactive. After setting the content, versatile settings panel awaits to do the customization of your tab element. Images tell stories, and you can tell several stories by using one slider. The slider element of Quix gives you full freedom to build what you want in the way you want. Create your slides in the shortest time and in an efficient way. Slider element of Quix is fully device responsive. You optimize your contents for the different resolution, and no matter what is your display size is, it will always look great. Your site can be enjoyed from any device, whether its a laptop, desktop or a mobile phone. For using slider element, you do not require any pre-knowledge or coding knowledge. Just put your required data along with settings, and you are ready with a magnificent slider on your site. Enhance your slider with different customization and styles. Every heading, button, image and text can be easily edited with customization options. It's pretty simple to build every kind of image slider, post slider and video slider, with the slider pro element of Quix. In any website, headline gives the summary and effectively influences the visitor. This influence rate can be increased with animated headlines. The name says it all for the animated headline, as it allows you to give spectacular animation and effects to your headline. Top rated brands use highlighted and animated headlines to draw the attention of the visitor at the headline. You can do this too with the Animated headline of Quix. Countdown is considered as #1 sales trick to boost your conversions and sales. It creates the scarcity & urgency that forces people to buy products. Quix's countdown element allows you to create stunning countdown section with simple drag & drop. By default, there are two views come with countdown element - Block & Inline. Choose the one that goes with your design. There are lots of ways to customize the countdown element, and you can add a background image, gradient color or even background overlay with it. There is no limitation to style your countdown box. If you can imagine it, you can build it with Quix. One of the very popular elements of Quix is counter. This element allows you to set a count for different kind of purposes like - followers, subscribers, site views, etc. With the counter element of Quix, you can count on both ascending and descending order. You can give any look to this element and make it more appealing. Put number, duration, order, title and then style it the way you want with numerous style options of Quix. Flip box is one of the fascinating element that comes with special flipping effect. It allows you to present your content in a different way. Insert a flip box and put your content, then put different effects and animations. When your viewers are watching the content, it will feel like a magic to them as the content of filp box changes upon mouse hovering. Flip box element comes with slide, flip, push, zoom out, zoom in and fade effect with it. After applying everything will work fluently without any error. Provide the comfort to your blog readers that they crave for on your website. You can easily make a showcase for both uncategorized and categorized article by using Joomla articles element of Quix. Only you have to select the group and define how many articles you want to show with this element, and the rest will be autonomously managed by Quix. If you want to show the featured article or order the articles by latest, title, popular or ordering tag, you can do that too. With Joomla articles element by default, you get four different layouts. These layouts include a group, list, deck, and column. Each of these layouts comes with its own style, the whole look of your site will be changed. Choose one layout that fits best with your website and than customize it on your own way. Imagine anything and build it exactly like imagination with Quix. Person element holds a short biography of your important members and staff members on your site. This short biography increases interaction among the company and users. Any outsider person gets to know about your team very fast. Quix person element comes with various customization options including settings for image, typography, colors and much more. Create your team section with the person element of Quix. Testimonials bear the social proofs that help you to increase trust & conversions between your client and website. A general testimonial shows the social proof of one or multiple persons testimonial in a specific area. But with testimonial carousel, you can show unlimited persons testimonial in a specific place without using much space. Get full control over the design and style of your testimonial carousel, including position, content and many other styling options. With this element, you can control how much faster the testimonial flows and whether it pauses on click. 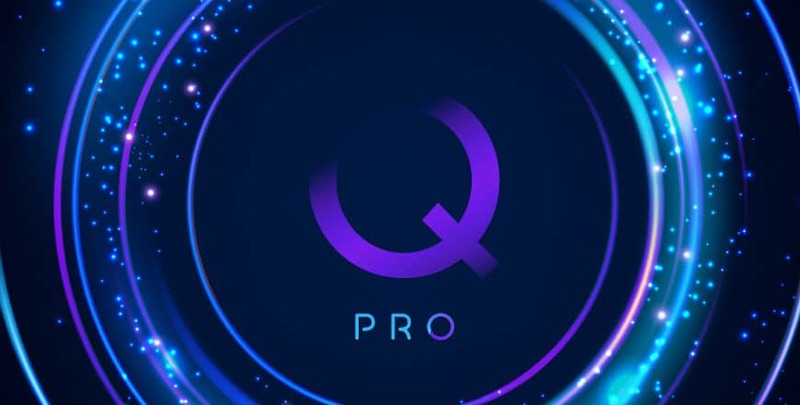 Why to Use Quix Pro? Quix is a versatile Joomla page builder that gives you total control to develop your Joomla website with drag & drop page building. Quix free version is enough for developing a fully working Joomla website. But as it is free, there are also some limitations come with the free version. These limitations are pro elements, pro layouts, Unsplash integration, Custom CSS and much more additional upcoming features. From, look to the performance of your website, everything will be more flourished with Pro features. Quix pro will allow you to do the complex designs in the shortest time which will save your money for designer and additional extensions. If you really care for your time and money, you will definitely use Quix Joomla page builder pro version. Don't have plan to purchase Quix pro? ​If you do not intend to buy Pro Quix at this moment, its tottaly alright. But we insist you to give it a go by Using Quix free version. Once the magic of Quix starts I bet you will definitely use Pro version. All right lets see what the Free version got. The new version of Quix Joomla page builder comes with live frontend editor. This technology helps anyone to build page by himself with live preview. It is very faster, and anyone without any sort of coding knowledge can use it. Every single change you make in the builder will be done instantly. You do not need to go for preview button every time you make a change. Flexible Column System: The columns of Quix 2.1 is very much flexible than ever before. You can define the number of columns add a new column or delete an older one. You can even resize the columns by dragging the edge of it or resize it from the settings panel. For different devices like tablets, desktop, and phones, you can set default column sizes. Array of Premade Column: To give users a flexible development experience Quix gives you the array of premade columns. There are 11 premade columns available for you. From these columns, you can choose the one that suits best for your section design. On The Fly Column Add: If you ever feel that you need to add a few more columns after completing the entire page, what you would do? You might run out of options. To give you a solution to this problem Quix 2.1 gives you on the fly column add option. Now you can add column any time you want, just click the "Add Column" button, and a new panel for adding column will appear on your screen. Nested Columns: Nested column allows you to add a new column inside a column. Create any sort of dynamic or complex layout easily with the help of nested columns. To add a nested column first insert a section. Then from elements add "column" element. This way you can insert as many as column you like. You get to use template manager at Quix 2 absolutely free. Template library has evolved to template manager. Previously it was a bit scattered, but now it is fully organized. Now inserting a section form template manager is easier than before. All things are kept in one place so that you find it faster whenever you need it. Template manager is separated into three tabs - My Templates, Pages, and Sections. Sections contains beautiful premade sections. Media manager allows you to manage all types of media files in one place. You can store any type of media files at here, and these files will help you at a later time. If you want to insert an image in any section, you will be able to insert it from here directly. Media manager allows you to sort and search for a specific file. No matter how many media files you keep on your media manager, you will be able to find any item within the shortest time. SVG Icon Picker: Quix has included most beautiful and trendy SVG icon with it. You will get 1000+ preinstalled SVG icons with Quix page builder. These icons are located locally into the media manager. We have given the freedom to create and use your own icons but if you do not like the hard work, use ours. We will try to increase the number of these icons in every regular update in need basis. SVG Adjustment: Scalable Vector Graphics or SVG is a vector image format based on XML. SVG facilitates you with animation and interactivity, and you can easily create amazing things with the help of SVG. SVG lets you play with the it, you can make objects bigger, smaller or any preferred size you want. Quix 2 provides you the full functionality to use the SVG editor, and you can upload any numbers of SVG images in the media manager. Now you do not need to go through pristine and old procedures to link a page to menu. You can directly create link page to menu with Quix. Just go to settings and click on "Link Page to Menu". As soon as you click a modal will open, you just fill the required information's and your page will be linked to menu. Everyone wants to stay ahead in this race of technology and SEO keeps your website ahead and attracts traffic. Search engines use the meta description as the overview of the site and show it to the user. To give you the lead we have brought important SEO settings on the frontend of Quix. Quix allows you to manage your pages very easily. After creating a page, you can set its status as published, unpublished, archived, and trashed. If you want that your page will be accessible by only a few persons, you can do it too. Quix versatile Joomla page builder lets you build your website intelligently in shortest time. It offers 18 free elements for everyone. Anyone can easily develop a website by using these elements. This list of elements contain - Accordion, alert, blurb, button, column, divider, google-map, icon-list, heading, image, joomla-module, person, raw-html social-icon, spacer, testimonial, text and video. Almost anything can be build with these elements but for building more advanced section you can try Quix Pro version. If you want to learn more about Quix follow this link. In this update Quix has came with a lot of new features and functionalities. This changes didn't come in one day, it took hard work of day and night. We will try to bring out more features and functionalities in future updates. - Take a full backup first. It's always recommended to take a backup, before you update. - We recommend you to install Quix by using the Quix Installer. - We recommenD to use Chrome and Firefox browser for builder. ​Pro version of Quix will give you the ultimate power to bring your thought to reality. All you need to do is install and get started using Quix. We have tried to give you the best page builder and we will update our product time to time. If you find any problem let us know, we are ready to give you support. Good work guys! I bet a nice YouTube demo would really increase upgrades. ? Thanks for your suggestion, we will definitely do it. how can I download quix pro 2.3.1??? My website is build in Quix and it has some problems, but it also was repaired by team of Quix. Great job! After upgrading to quix 2.1.0 from 1.9.2 Apple Safari caused some problems. Also the Carousel has stopped working.. Please create a ticket in our forum and our experts will assist you there. Please follow the link below. Please create a ThemeXpert account. If you have one, then just login to it.Then go for Quix page builder. Download Quix free or Pro installer. Now go to your Joomla administrator panel and follow these steps. Now drop Quix here and it will get installed. once the installation process is complete, clear your cache. Now your Quix is ready to use. If you find any kind of trouble do let us know. We’ll be right here. How can I activate the frontend editor in quix 2.3.1 like mentioned? The "Editor-Button" I only see on seperate articles, not on quix-pages? Hello. Thank you for being a member of ThemeXpert. Once you install Quix Pro, please clear your browser cache first. In the Joomla administrator panel, you'll find a Quix tab in the menu item section. Click on it and you'll find a drop down. Select 'Pages'. In the new page, you'll find a green color 'NEW' button on your top left screen section. click on that and a new Quix page will open on a new browser tab. Take a look at it and let us know how you feel about it.